Description: This category contains the traditional sour beer styles of Europe that are still produced, many (but not all) with a wheat component. Most have low bitterness, with the sourness of the beer providing the balance that hop bitterness would otherwise contribute. Some are sweetened or flavoured, whether at the brewery or upon consumption. 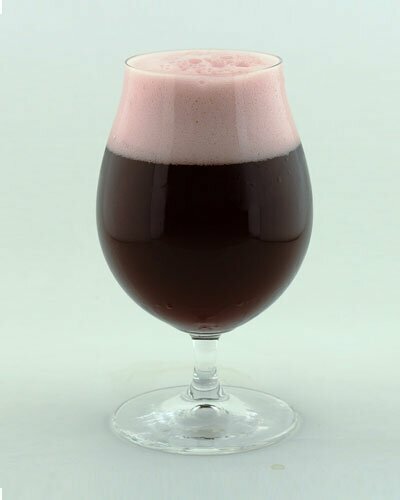 Making sour beer is a risky and specialised form of beer brewing, and longstanding breweries which produce it and other lambics often specialise in these and other Belgian-style beers. Established in 1836, one of the oldest breweries still in operation that produces sour beer is the Rodenbach Brewery of Roeselare, Belgium. Today sour beer has spread outside Belgium to include other European breweries and some in the United States. Food Pairing: Salads with fruit dressings, tomato salad with vinaigrette; hearty meals like grilled beef and vegetables; chocolates and desserts. Description: A very pale, refreshing, low-alcohol German wheat beer with a clean lactic sourness and a very high carbonation level. In Germany, it is classified as a “Schankbier” denoting a small beer of starting gravity in the range 7-8 °P. Often served with the addition of a shot of sugar syrups (mit schuss) flavoured with raspberry (himbeer), woodruff (waldmeister), or Caraway schnapps (Kümmel) to counter the substantial sourness. Has been described by some as the most purely refreshing beer in the world. History: A regional specialty of Berlin; referred to by Napoleon's troops in 1809 as “the Champagne of the North” due to its lively and elegant character. At one point, it was smoked and there used to be Märzen-strength (14 °P) version. Increasingly rare in German, but some American craft breweries now regularly produce the style. Description: Gose is a top-fermented beer that originated in Goslar, Germany. It is brewed with at least 50% of the grain bill being malted wheat. Dominant flavours in gose include a lemon tartness, an herbal characteristic, and a strong saltiness (the result of either local water sources or added salt). Gose beers typically do not have prominent hop bitterness, flavours, or aroma. The beers typically have a moderate alcohol content of 4 to 5% ABV. Gose belongs to the same family of sour wheat beers which were once brewed across Northern Germany and the Low Countries. Description: A sour, fruity, red wine-like Belgian-style ale with interesting supportive malt flavours and fruit complexity. The dry finish and tannin completes the mental image of a fine red wine. Long aging and blending of young and well-aged beer often occurs, adding to the smoothness and complexity, though the aged product is sometimes released as a connoisseur’s beer. Known as the Burgundy of Belgium, it is more wine-like than any other beer style. The reddish colour is a product of the malt although an extended, less-than-rolling portion of the boil may help add an attractive Burgundy hue. Aging will also darken the beer. History: An indigenous beer of West Flanders, typified by the products of the Rodenbach brewery, established in 1820 in West Flanders but reflective of earlier brewing traditions. The beer is aged for up to two years, often in huge oaken barrels which contain the resident bacteria necessary to sour the beer. Description: A malty, fruity, aged, somewhat sour Belgian-style brown ale. Long aging and blending of young and aged beer may occur, adding smoothness and complexity and balancing any harsh, sour character. This style was designed to lay down so examples with a moderate aged character are considered superior to younger examples. As in fruit lambics, Oud Bruin can be used as a base for fruit-flavoured beers. Description: A complex, pleasantly sour but balanced wild Belgian wheat beer that is highly carbonated and very refreshing. Gueuze is traditionally produced by mixing one, two, and three-year old lambic. “Young” lambic contains fermentable sugars while old lambic has the characteristic “wild” taste of the Senne River valley. A good gueuze is not the most pungent, but possesses a full and tantalizing bouquet, a sharp aroma, and a soft, velvety flavour. Lambic is served uncarbonated, while gueuze is served effervescent. Products marked oude or ville are considered most traditional. History: Spontaneously fermented wild ales from the area in and around Brussels (the Senne Valley) stem from a farmhouse brewing and blending tradition several centuries old. The number of producers is constantly dwindling and some producers are untraditionally sweetening their products (postfermentation) to make them more palatable to a wider audience. Description: A fairly sour, often moderately funky wild Belgian wheat beer with sourness taking the place of hop bitterness in the balance. Straight lambics are single-batch, unblended beers. Since they are unblended, the straight lambic is often a true product of the “house character” of a brewery and will be more variable than a gueuze. They are generally served young (6 months) and on tap as cheap, easy-drinking beers without any filling carbonation. Younger versions tend to be one-dimensionally sour since a complex Brett character often takes upwards of a year to develop. An enteric character is often indicative of a lambic that is too young. Description: A complex, fruity, pleasantly sour, wild wheat ale fermented by a variety of Belgian microbiota, and showcasing the fruit contributions blended with the wild character. Fruit-based lambics are often produced like gueuze by mixing one, two, and three-year old lambic. “Young” lambic contains fermentable sugars while old lambic has the characteristic “wild” taste of the Senne River valley. Fruit is commonly added halfway through aging and the yeast and bacteria will ferment all sugars from the fruit. Fruit may also be added to unblended lambic. The most traditional styles of fruit lambics include kriek (cherries), framboise (raspberries) and druivenlambik (muscat grapes). IBUs are approximate since aged hops are used; Belgians use hops for anti-bacterial properties more than bittering in lambics. Description: The name American Wild Ale is in common use by craft brewers and home-brewers. However, the word Wild does not imply that these beers are necessarily spontaneously-fermented; rather, it indicates that they are influenced by microbes other than traditional brewer’s yeasts. This category is intended for a wide range of beers that do not fit traditional European sour or wild styles. All of the styles in this category are essentially specialty beers where many creative interpretations are possible, and the styles are defined only by the use of specific fermentation profiles and ingredients.